Not valid with any other offer. You will be able to instantly download your voucher in PDF format that can be printed to redeem. Customer must present printed voucher at ticket booth. Watch all the action as the Wildcats try to win the NAHL Robertson Cup. 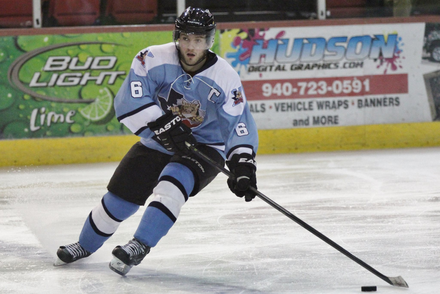 Join coach John LaFontaine and the Wildcats as they fight their way through the rough south division against teams like the Corpus Christi Ice Rays, Odessa Jackalopes, and Topeka Road Runners. Don’t forget to Restore the Roar! The Wichita Falls Wildcats is a Junior A ice hockey team based out of Wichita Falls, Texas since 2004. The Wichita Falls Wildcats are just one of the 24 teams that are apart of the North American Hockey League (NAHL). The NAHL and the Wildcats prides itself on the social maturity and skill development of student-athletes ages 16-20 with aspirations of advancing to collegiate and/or professional hockey.